For general information on performing this process in case drivers are excluded from the installation media in the future, read on! Finally, to test out the image, I rebooted my host to the ISO and voila! I can now see the FCoE Boot volume! Now I was off and running and could complete the rest of my vSphere 5.1 update in our demo center! Click here to download the updated HP Customized ESXi 5.1 installer with the be2net offline bundles mentioned in this article. Alternatively, click here to download the ZIP file for additional customization. If you have any questions, comments, or just want to leave feedback, please do so below. If you work for HP or know someone who can explain why the be2net drivers were excluded from HP’s ESXi 5.1 installer, I’d love to hear from them! Thanks for reading! I am trying to install VMware-ESXi-5.1.0-Update3-2323236-HP-510.9.1.10-Dec2014.ISO from ILO. I am getting the exact error as shown in the first screenshot (Storage device local and remote as None). Can you please suggest what steps i can follow in the proper order. Please use a later build of the HP Customized installation media. I appreciate this post. I believe I have a similar issue with an HP BL490C G7 however, I am using Flex-10 and not FCoE. I get a message “No network adapters found”….” immediately after after install.This happens with the HP customized ISO as well as trying with VMWare Auto Deploy. The VMware supplied ISO works fine. I initially thought it may have been a firmware driver or BIOS mismatch until finding your post. It is still confusing because I am using the latest image (VMware-ESXi-5.1.0-799733-HP-5.34.23) and would have thought any missing bundles would have been included and issues resolved since 5.30.28. I also would have expected to find a lot more posts about issues related to The HP customized image? Thanks works well on BL460c G7. 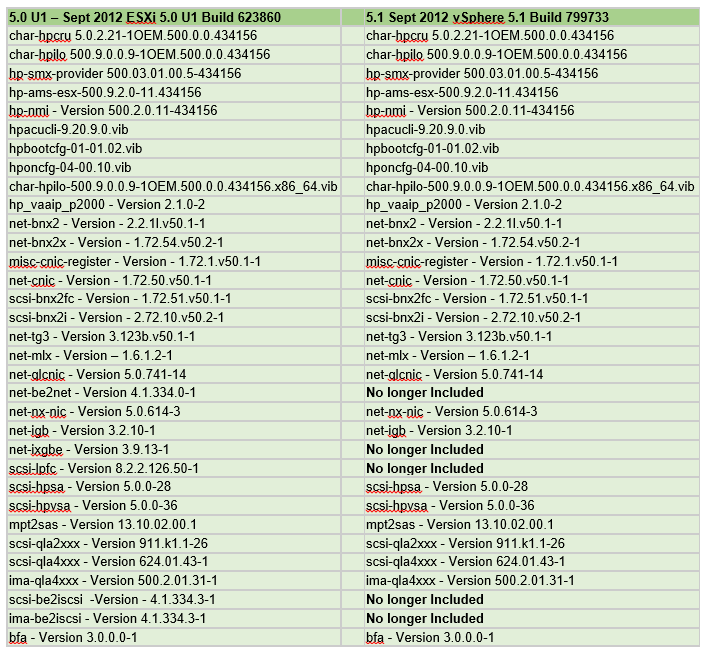 Do not know why be2net drivers are not in the HP OEM iso.